His Holiness Shah Satnam Singh Ji Maharaj incarnated on Jan. 25, 1919 in the holy village-Sri Jalalana Sahib in district Sirsa in Haryana(India). The most respected father Shri Wareyam Singh Ji and most revered mother Aas Kaur Ji were learned and pious souls. His Holiness was an eminent landlord of the village and belonged to a Sidhu family. His Holiness was the only child of his parents. 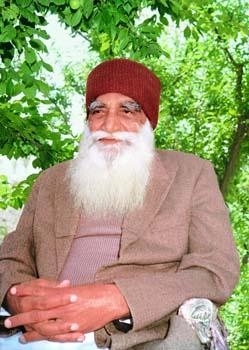 From the very childhood, Param Pita Shah Satnam Singh Ji had true love for God and wanted to achieve Him. So His Holiness started his search for a perfect spiritual saint who could fulfill his desire of realizing God. During this search, His Holiness met many persons who were known as great devotees of God. His Holiness listened to their preachings, practised them after studying them deeply but none could satisfy him and make him achieve his aim.